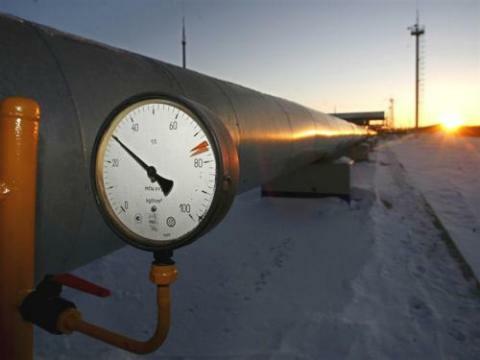 The Baku-Tbilisi-Ceyhan (BTC) pipeline transported 1.6 million tons of transit Turkmen oil in January-April 2012, up from 1.1 million tons in the same period of 2011, the State Statistics Committee told Trend news agency. The Turkmen oil, delivered to Azerbaijan by tankers, was transported from the Sangachal terminal near Baku. The BTC transported 2.1 million tons of Turkmen oil in 2011 compared to 1.3 million tons in 2010. The oil is transported under contracts signed between the state energy company Socar and Dragon Oil producing oil in the Central Asian state. Oil transportation via the BTC began in July 2010. Socar Trading buys and transports oil from producers in Turkmenistan across the Caspian Sea to the BTC entrance flange at the Sangachal Terminal. The BTC Co. then transports the oil via the BTC to Socar Trading at Turkey`s Mediterranean port of Ceyhan. The BTC main export pipeline, running through Georgia and Turkey, transports oil from the Azeri-Chirag-Gunashli offshore fields, which produce most of Azerbaijan`s oil. The BTC`s pumping capacity is 1.2 million barrels of oil per day. BTC Co. shareholders include: BP (30.1 per cent - operator); AzBTC (25 per cent); Chevron (8.90 per cent); Statoil Hydro (8.71 per cent); ÒÐÀÎ (6.53 per cent); Eni (5 per cent); Total (5 per cent); Itochu (3.40 per cent); Inpex (2.50 per cent); ConocoPhillips (2.50 per cent) and Amerada Hess (2.36 per cent).